Welcome to the Arena Scarves website. We are manufacturers of quality knitted hats and scarves which have a diverse range of uses. We create custom made scarves and hats bespoke to your requirements. From as few as 50 scarves or hats we provide you with something unique. 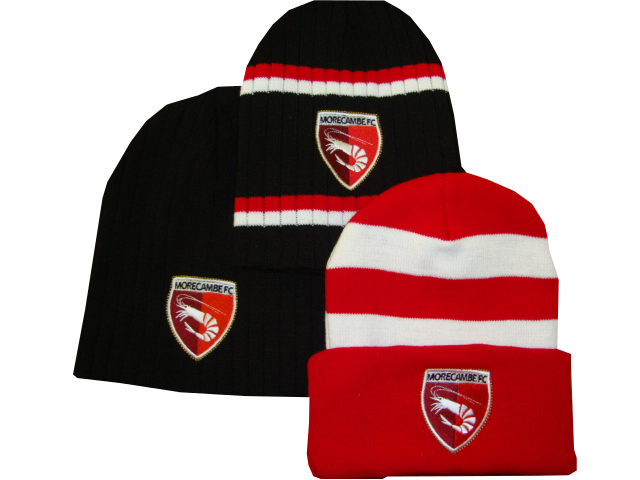 Football and rugby clubs, promotional and corporate event suppliers, international rock and pop band merchandisers, schools, colleges and universities all buy knitted scarves and hats direct from us, a UK based manufacturer. We pride ourselves on quality, value and service, thereby building long-term relationships with our diverse client base. Click on About Us for a brief history and overview of who we are. Should you wish to buy single items, use the Ebay and Amazon tabs to view our online shops. The Products tab displays thumbnails of our knitted football scarves and hats along with rugby scarves, school scarves, corporate scarves, and one-off custom made items. The Services section describes the design and order process for jacquard scarves. Also displayed is our in-house embroidery facility, by which we can personalise your football, rugby, school, promotional or university scarves, with a high definition stitched-on logo or text. Arena Scarves is a leading manufacturer of knitted products, including scarves and hats, across the UK and beyond. Based in Leicestershire, we've been designing, manufacturing and supplying high quality scarves for over 25 years and can create custom designs according to your needs.